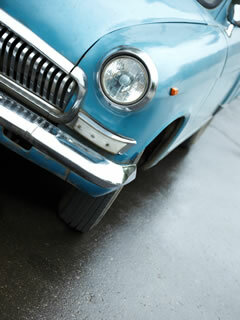 At John Russell Insurance we have developed a wealth of knowledge in Classic Car Insurance. From years of experience in looking after Classic Car Policies as well as our own personal interests in the area, we are ideally placed to look after your needs. Please click below for an online quotation, or alternatively call our office to discuss your needs with one of Account Executives who will be happy to help. We have access to numerous Classic Car insurance providers who have a wealth of experience and specialist knowledge. They are able to provide the flexibility of bespoke quotations tailored to your individual requirements. Discount for Owners' Club members. Multi-Vehicle policies available (rated on aggregate value). Normally up to 4 named drivers, but alternatives available on Multi-Vehicle policies. Windscreen cover (limited to £500). Left-hand and centre drive vehicles accepted.